Volvos are expensive to repair, and maintain because the parts are costly. Some of my favorite things about my car are the heated seats, the sunroof, and stereo system. I feel it's performance is above average considering despite it's high mileage I haven't had to do many repairs. Some cons are there is no auxiliary cord, it requires synthetic oil which can be pricey. Repairs are also expensive, as volvo parts tend to cost a lot. My outlook, of being a owner of a 2006 Volvo s40. 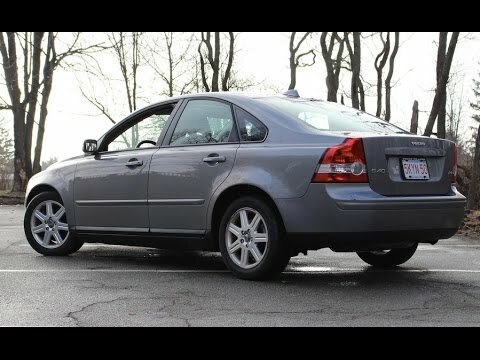 I am very pleased with my 2006 Volvo s40. It has great handling ability, for being 12 yrs.. Old. Fully loaded(knock on wood), everything is working great. I am satisfied with fuel mileage at 26/28 mpg. Depends on "we" dive the car. My wife also or is the main driver!! The car is still in great shape, being driven most everyday. When it runs, it's great. When anything breaks, your screwed. It's great until it has issues. Recently, the coolant reservoir cracked, and that was $600 to replace it. A few months ago, the fuel rail pressure sensor broke, and that was a $400 fix. It's so stinking expensive to fix it when anything goes wrong. It really isn't worth it.